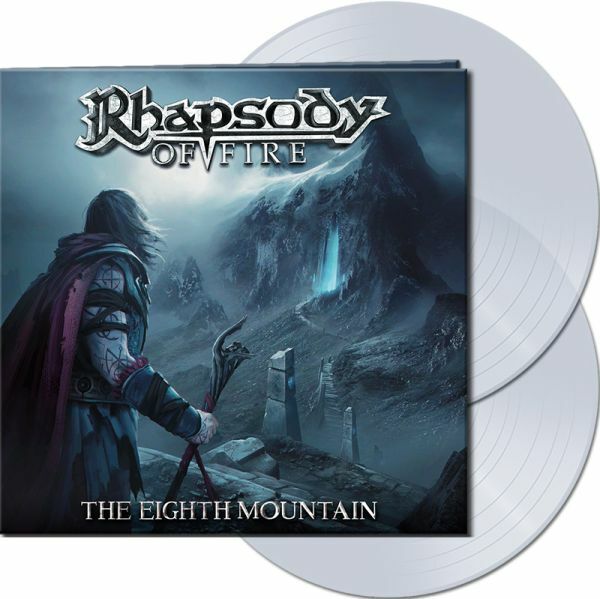 RHAPSODY OF FIRE - THE EIGHTH MOUNTAIN CLEAR VINYL (2LP) | Online Shop | Wizard LTD. Album: "THE EIGHTH MOUNTAIN CLEAR VINYL (2LP)"
- Excellent new studio album by Italian symphonic metal-kings RHAPSODY OF FIRE and first studio album with very talented new singer Giacomo Voli. This new epic material is stilisticly close to their late 90’s / early 2000’s masterpieces without marking that time. "The Eighth Mountain" starts a story concept that will stretch over three records in total. Rhapsody Of Fire have now returned to the very strengths of those albums. Their latest studio recording The Eighth Mountain combines spirited songs and epic chorus parts with lavish orchestra arrangements. At the same time, the album marks the beginning of a new, exciting saga that’s typical of this band. First of all, there’s been an important personnel change: Vocalist Giacomo Voli has been at the group’s musical helm for the last three years, whom has not only accepted the powerful heritage, he has also brought fresh momentum to the Rhapsody Of Fire fold. To dress the new material in appropriately lavish sounds to suit its extravagant songwriting, Rhapsody Of Fire have worked with a major orchestra again. This time the musicians of the acclaimed Bulgarian National Symphony Orchestra in Sofia, were instrumental in recording The Eighth Mountain’s sublime, atmospherically dense overall sound. Two choirs featuring more than 20 vocalists, as well as a number of soloists playing medieval instruments, also deserve to be mentioned. The album was mixed and mastered by Sebastian “Seeb” Levermann (Orden Ogan).